Inspired by this main-page article about the "Nintendo Fusion". Well, I'm back. Busy few months and all...for those of you who remember my posts from last summer on a Criterion Collection for video games, the Agency Group (here's the original post if that sounds interesting), I do still plan on picking that series back up, though I've since lost the file with the original list and would have to re-order things. It also wouldn't be at that insane one-article-a-day clip. I am planning on writing much more in 2014 though, and when that writing is gaming-related, I'll bring it to you wonderful people here. Recently, "news" - and I put that in quotes for a reason - has been reported on various gaming websites, even spreading to general news locations like Yahoo, of rumored development of a new Nintendo console, the Nintendo Fusion. Essentially, the console is a home/portable hybrid with the power of a PlayStation 4/Xbox One that Nintendo has started to develop in the wake of flagging Wii U sales. Many of the specs - like a "SDHC 'Holographic Enhanced' Card Slot up to 128 Gigabyte Limit" seem dubious at best, and there is much doubt concerning the veracity of this report. Its sources are also largely anonymous and even the original reporter is willing to admit they don't know if any of this is remotely true. 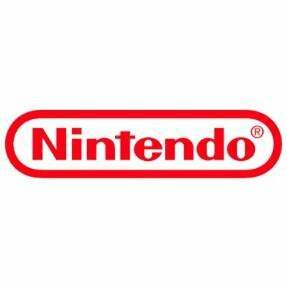 Nintendo, as per usual for rumors and speculation, has declined to comment. However, this leads into a regular discussion about the future of the Big N. Most tend to agree that, even though the Wii U has some high quality and very fun titles - especially, as usual, their first party efforts like Super Mario 3D World - they are lagging behind when it comes to third party support. The console's game pad, much like the Kinect, is an interesting piece of technology with few vital uses, and its power when compared to the other two main competitors is inferior. What's the solution? Well, there are a few options: some claim that they need dedicated third party support form a major developer to get the train rolling again. The problem with that is Nintendo needs basically everything to go right or even that will fail. Letting go of Rareware a decade ago still hurts - and the error even seemed obvious at the time - and then the Gamecube-era Capcom Five collapsed around itself. I still think had Capcom's games turned out to be exclusive hits - and the last two were certainly worth it - it would've emboldened more third-party developers to come their way. Instead, Nintendo tried doing something different, and with the Wii got a great concept with iffy execution games-wise, outside of first-party efforts. At this point, while they could certainly last for a while like this due to their gigantic war chest, they likely wouldn't want to. They need to try making a couple of "We will pay you whatever the hell you want" deals to get a couple of major third-party games to hold them over for a couple of years and then come out with a much more standard console that competes with the PS4 and X1 power-wise while also not being separate enough to push other devs away. Make motion controls like the Kinect; included but optional. Eventually someone will crack the code but making it just a part of the console instead of the emphasis is vital. Another route is pulling a (partial) Sega. Nintendo is still ridiculously dominant in portable gaming, though they're losing ground to the mobile landscape. I think they could find success developing console games for the two leaders, continuing to make excellent portable titles - especially as portable gaming gets nearly as powerful as consoles - and expand into mobile (phone) gaming with some of their flagship titles. If that third-party killer app isn't coming, this might be the best bet, because people will still buy first-party Nintendo games…they're consistent, fun, family friendly titles and now they wouldn't have to carry a console all by themselves. You could argue they might be even more successful. And, yes, they could stay the course. They've got enough money to basically support themselves for probably the better part of a decade or two at the least, and if they're comfortable with this, more power to them. It just might not be the best long-term approach. Despite a lot of the conspiracy theories and angry comments, very few gamers genuinely want Nintendo to fail. Most of us have fond memories of top notch games from the company over the years and know that when they're on, when they release a big, major-series, first-party game, it's consistently great and nobody does that better than them. But it's increasingly difficult to justify buying a console for versions of games we've been playing for 20-30 years now without major changes or other titles to ease the burden. They're not going out of business tomorrow and their first party titles are still very strong. However, typically for gaming companies death has been a spiral, not a nosedive. Nintendo has experience, support, and a new Miyamoto-backed IP on its way; there is more than enough to boost them into a new era. Let's just hope their actions over the next few years can re-establish them as an industry leader, instead of further burnishing the idea that Nintendo is largely fueled by nostalgia.